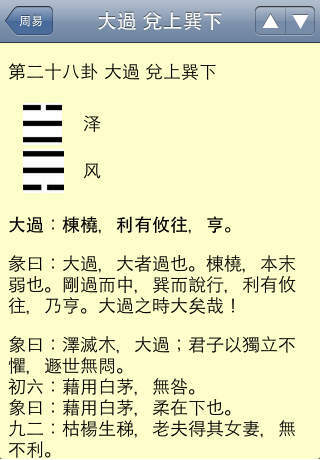 Traditionally it was believed that the principles of the I Ching originated with the mythical Fu Xi (伏羲 Fú Xī). In this respect he is seen as an early culture hero, one of the earliest legendary rulers of China (traditional dates 2800 BCE-2737 BCE), reputed to have had the 8 trigrams (八卦 bā gùa) revealed to him supernaturally. 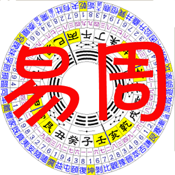 By the time of the legendary Yu (禹 Yǔ) 2194 BCE–2149 BCE, the trigrams had supposedly been developed into 64 hexagrams (六十四卦 lìu shí­ sì gùa), which were recorded in the scripture Lian Shan (《連山》 Lián Shān; also called Lian Shan Yi). Lian Shan, meaning “continuous mountains” in Chinese, begins with the hexagram Bound (艮 gèn), which depicts a mountain (¦¦|) mounting on another and is believed to be the origin of the scripture's name.